Until about 1870 this site formed part of the large garden of Suffolk Lodge next door. It was then built upon but since there are no trades listed for this property until 1881 we may suppose that it remained residential until then, when Thomas Willis, a draper, lived here with his wife Elizabeth, 5 children, 2 assistant drapers and 3 servants. In 1895 the Gloucestershire Dairy took over the premises of Mr Thomas William Norris at 15 Suffolk Parade and he relocated his dairy business to number 12. Thomas died in Cheltenham in 1901 whereupon the dairy passed into the hands of his wife, Annie. In 1904 the dairy employed three horse drawn delivery vans and their stables were located just off Great Norwood Street, behind the former Railway Inn. ​The milk delivery round would normally have been a male occupation but, with Annie's sons away at war, and due to the male labour shortage, in 1916 the Devonshire Dairy advertised for a young woman to take on the role. Men eligible for war service were actively discouraged from applying. Annie Norris remained here until 1922, although the property was offered up for sale in 1916 and the sale particulars suggest that the dairy had lately closed. Annie died in 1930, in Glasgow, aged 75. Annie Norris was followed by Yeandle & Son, tailors, who moved here from number 14. They had already been in Suffolk Parade since at least 1870 and the company passed down through the generations. Yeandle's closed in the early 1930s and were replaced by a toy shop called Cheltenham Toy Industry, who stayed here until about 1950. At that time the shop returned to tailoring and was run by Jerzy Iwaniak for about the next 25 years. 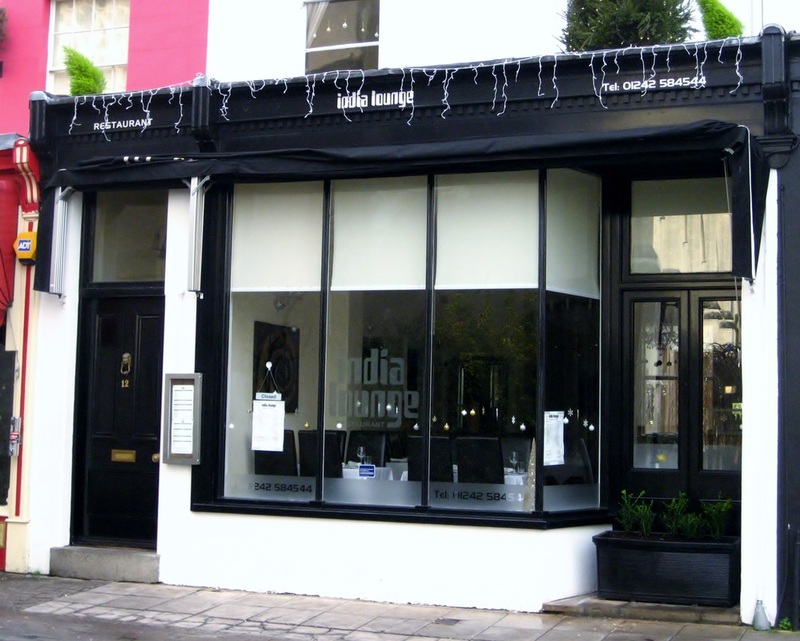 Today it is home to India Lounge, a luxurious Indian restaurant.